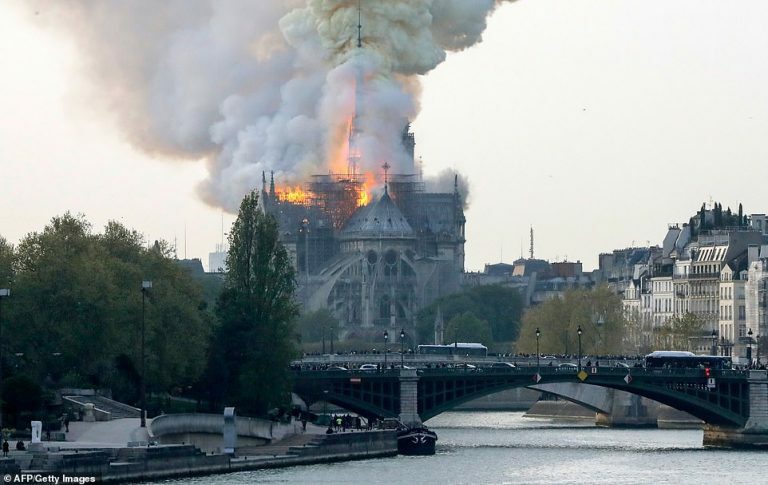 Firefighters are battling a massive blaze which broke out at the world-famous Notre Dame cathedral in Paris this evening. 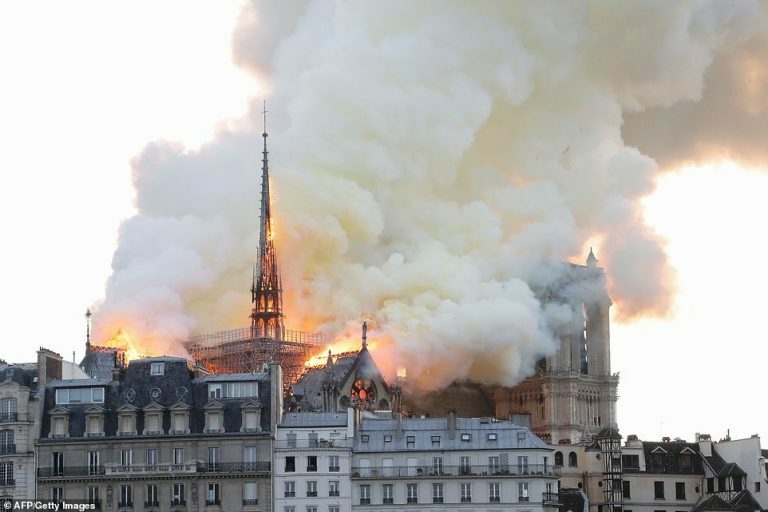 Pictures posted on social media showed enormous plumes of smoke billowing into the city’s skyline and flames engulfing large sections of the historic building. Paris Mayor Anne Hidalgo says firefighters are trying to contain a ‘terrible fire’ at the city’s Notre Cathedral. 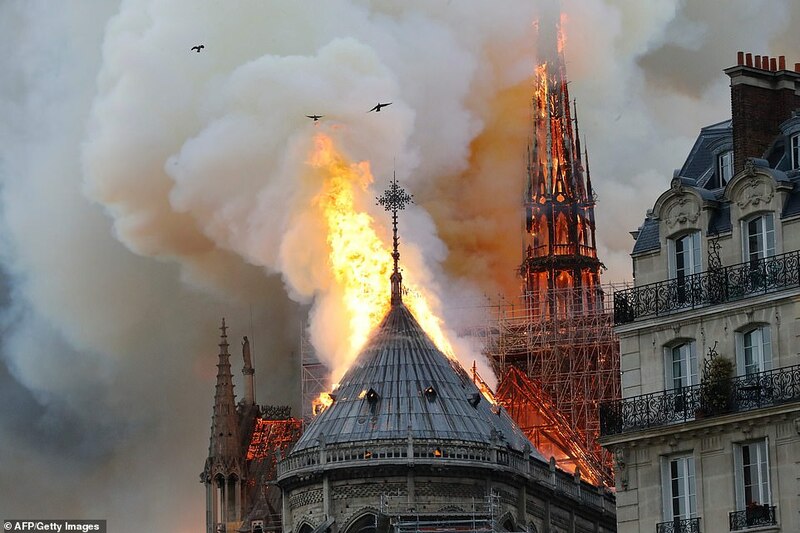 This is clearly a false flag where the blame will be laid at the feet of the “Yellow Vests.” Give it a few weeks and we’ll see . .
As fire in Paris engulfs the cathedral that has come to symbolize all things French, does this represent the symbolic end of France, now that the spire has collapsed? Or could it the start of a new beginning for both the cathedral and for France? As the people of France might say: Vive la France!